I was approached by Clemence Organics to see if I would be interested in trying a product from their natural skincare range. 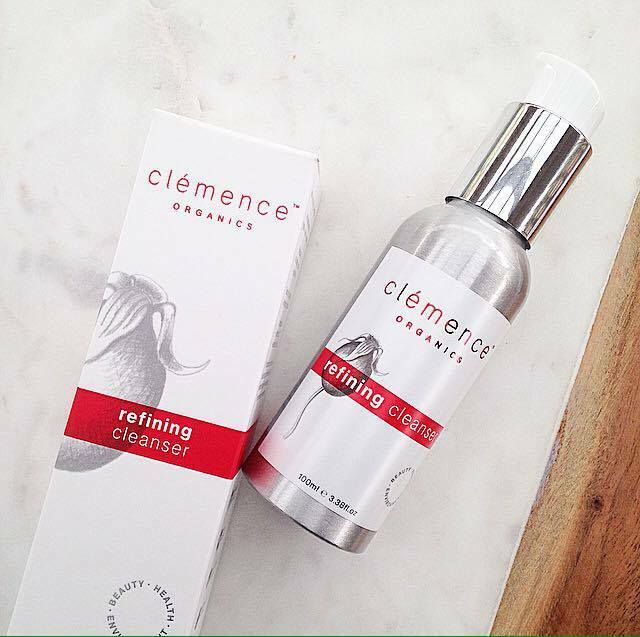 Clemence Organics is a newly launched line made right here in Australia. I was lucky enough to be sent their Refining Cleanser. Cleansing is to me the most important step of any skin care routine, so naturally I am picky about what I use and recommend. 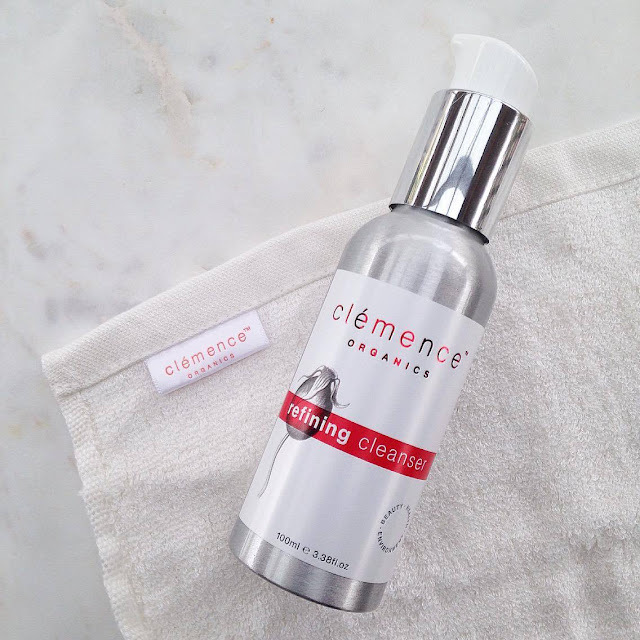 Keep reading below to see if I recommend this cleanser by Clemence Organics! "This is the ultimate cleanser for restoring your skin to its best. Pure organic oils of geranium, patchouli and rose provide balancing, toning and anti-ageing benefits, whilst bearberry extract lightens and brightens the complexion. With its silky touch, this revolutionary cleanser will not only remove impurities, but soothe, nourish, and leave your skin feeling completely refined and restored. You will never want to use another cleanser again!" As a gal with super dry skin, I naturally prefer creamy/lotion textures over foaming cleansers, so was super glad when I seen that this refining cleanser was a creamy texture. It feels super nice on the skin, and like a good cream cleanser, does not leave the skin feeling stripped after rinsing. It also does not leave any residue, so should be suitable for most skin types. I love how soft and clean my skin feels after using this cleanser! This cleanser smells exactly like musk stick lollies! Perhaps it is the combination of rose otto, geranium and ylang ylang, but whatever it is, I find myself super nostalgic for my childhood days when I use this. Clemence also sent me one of their organic bamboo face cloths. I have to say I have honestly not felt a face cloth as soft as this! This cloth is the perfect accompaniment for the cleanser. Together they remove even the most stubborn makeup and grime, while still being gentle and not excessively rubbing or pulling at your gentle facial skin. I typically only need the cleanser alone as I find that is sufficient to remove my light makeup, but if I am wearing a heavier face, I will use both together. Ingredients: aloe barbadensis (aloe vera) leaf juice*, camellia oleifera (camellia) seed oil*, helianthus annuus (sunflower) oil*, glycerin*, cetearyl alcohol, arctostaphylos uva ursi (bearberry) leaf extract*, crambe abyssinica (crambisol) seed oil, olea europaea (olive) fruit oil*, cetearyl glucoside, cetearyl olivate, sorbitan olivate, citrus sinensis (sweet orange) oil*, citrus aurantifolia (lime) oil*, pelargonium graveolens (geranium) oil*, pogostemon cablin (patchouli) oil*, canaga odorata (ylang ylang) flower oil*, rosa damascena.miller (rose otto) oil*, glyceryl caprylate, glyceryl undecylenate, bentonite, xanthan gum, acacia gum, citric acid *CERTIFIED ORGANIC INGREDIENT. I highly recommend this cleanser to those looking for an organic and natural alternative to their current cleanser. You can buy this cleanser at Clemence Organics' website, here.